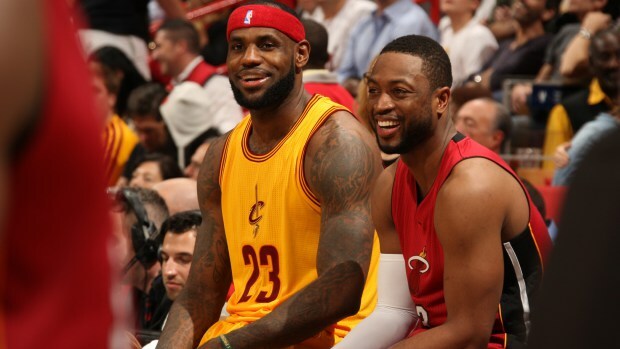 Reunited and it feels so good, reunited like I knew we would… LeBron James and Dwyane Wade are back together on a basketball court once again, if only for a year. After being bought out by the Bulls, Wade didn’t take long to agree to a one-year, $2.3 million deal with the Cavaliers. LeBron lost his most recent sidekick but his most accomplished one has rejoined him for another attempt at an NBA title. Wade at 35 is not the player he was even two or three years ago, his efficiency and true shooting percentage has trended downward the past few seasons, but he still is a very crafted and gifted player with a little in the tank and his effectiveness will likely be maximized in a secondary role with the Cavaliers. He is also brimming with championship pedigree and experience and knows how to play alongside LeBron James better than anyone else. Whether he takes over the starting shooting guard role from J.R. Smith or comes off the bench (the more logical role for him in my opinion) he is yet another ball handler and shot creator to take the pressure off LeBron James and makes the Cavaliers a better team day one. He even shot over 31% from three for only the second time in his 14-year NBA career last season. While the Cavaliers ideally need more, young, athletic and lengthy defenders on their roster in order to better match-up with the Warriors, Dwyane Wade is a hall of fame player and his presence alone makes them a better team for a number of reasons, and there is no other scenario where you get a player of his caliber for only $2.3 million.